Okay, so many critics were dismissing this song as a novelty record (amongst other things! ), but I know an awful lot of people who really liked this song, including myself. Not all music has to take itself too seriously, and I've heard a lot worse than this - Anyone Can Fall in Love by Anita Dobson is one such example! 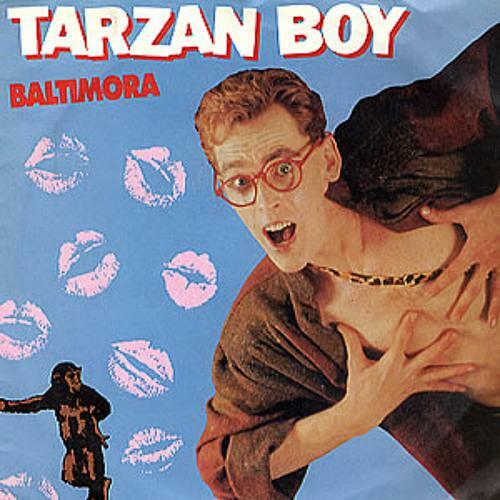 Baltimora was an Italian dance act and their debut single "Tarzan Boy" entered the UK singles chart at No.85 on July 28 1985, in the same week that Elvis Presley entered at No.84 with "Always On My Mind (1985)". Baltimora peaked at No.3 in the UK for one week on 1st September, with UB40 and Chrissie Hynde at No.2 with "I Got You Babe" and David Bowie and Mick Jagger at No.1 with "Dancing in the Street". The song also managed to reach No.1 in France and the Netherlands, and No.13 in the U.S. It was taken from the album "Living In The Background", and despite the success of the single, the album failed to chart in the UK. However, it did do well in Canada, and also charted in Sweden (18), Italy (26) and the U.S. (49). 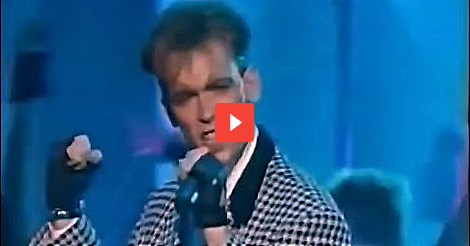 "Tarzan Boy" was the only successful single for Baltimora in the UK, making the group an 80s one hit wonder. 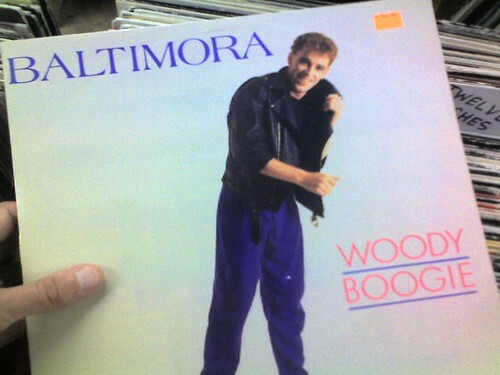 Baltimora attempted a comeback in 1987 with a second album, "Survivor In Love", but the single "Key Key Karimba" was the only notable track that managed to enter the Top 100 charts in only a few countries. Frontman Jimmy McShane died on 29 March 1995, of complications from Aids. This was the comeback single which failed to chart in the UK, but reached #37 in Italy. The previous single Juke Box Boy which was the last release from the first album had reached #12 in Italy. The photo is of Jimmy McShane from 1987.